The jegging is quickly becoming a staple in the every-girl’s closet. A comfy basic, that marries the lived-in comfort of leggings with the mix-and-match versatility of jeans, this stretchy essential does double duty in both the casual and dressy realms. 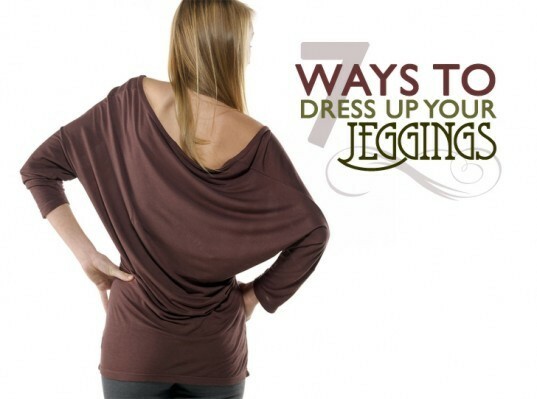 If you’ve been looking for some inspired ideas on how to add some edge to your skin-tight slacks this season, then jump ahead for our top 7 eco-friendly ways to dress up your jeggings. From ballet flats to tweedy tuxedo blazer, turn up your style volume with these simple and chic tips.